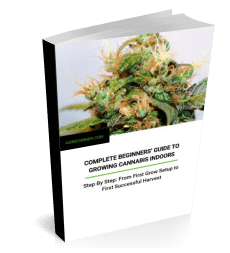 So you’ve grown yourself some beautiful bud, but what’s the best weed vaporizer to get the most out of your hard work? Which of the hundreds of vapes on the market is going to give you a satisfying smoke without burning up your herb? We think the new Boundless CFX could well be the best weed vaporizer in its price bracket—and even better than many vapes twice its price. Read on to see why we rate it so highly and what we look for in a good portable vape. 1.1 How Does It Feel? 2 Boundless CFX: Best Weed Vaporizer? The first thing you’ll notice about a vape is going to be how it feels in your hand. The Boundless CFX passes that test well. It’s silicone coating keeps it cool, it’s contoured for easy grip, and it feels reassuringly solid. This isn’t a vape you’re going to be afraid won’t stand up to daily use. Very. Whatever kind of grind or loading style you prefer, you’ll get good results. Pack it tight or leave it loose, large load or small load, even unground, the Boundless CFX can handle it. You’ll get consistent results every time. In fact, even if this is your first vape, that shouldn’t be a problem. The learning curve with the CFX is pretty negligible. And even though it’s great for beginners, if you know what you like already, you’ll find plenty of scope to tailor your vaping experience to your preferences. Speaking of versatility, you can also switch between dry herb and extracts with the included wax/concentrate pod. The CFX also comes with a packing tool. Finally, the size of the chamber (around 1” x 0.5”) means that it’s just as good used as your personal vape or to pass around. Now you’ve got your vape packed the way you like it, how fast is it going to heat up? Fast. The Boundless CFX has fully adjustable temperature settings. But even at the highest setting you won’t be waiting any longer than 20 seconds. Haptic feedback will tell you when your selected temperature has been reached. As soon as it vibrates, the CFX is ready to draw. As well as fast, it’s also powerful. An 80W oven. Temperature can be set anywhere between 100-430°F (38-221°C), using the plus/minus buttons. So whether you prefer lower temperatures for fuller flavor or higher temperatures for bigger clouds, you’re in luck. For “legal herbs”, Boundless recommend starting at 350°F and slowly increasing to find what you like. The Boundless CFX has a bright, clear 1.7” OLED display that will show you what temperature you’re setting, as well as current temperature, battery level, and a session timer. But do all these features give a good, satisfying vape? Definitely. 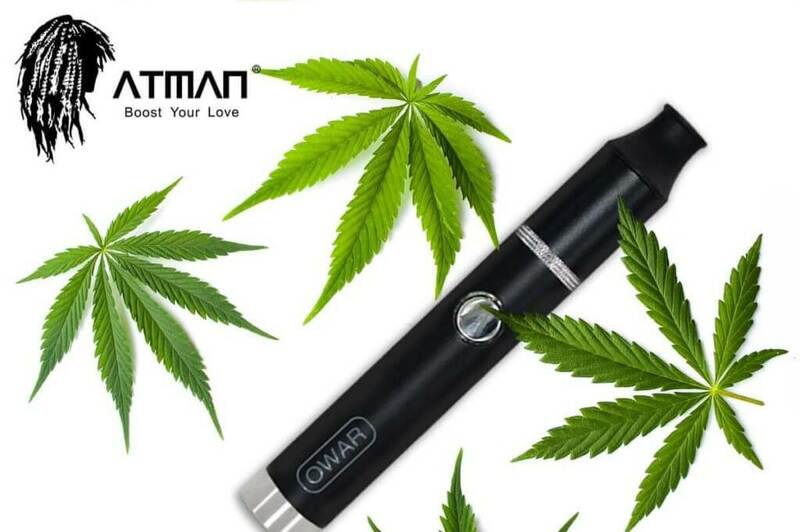 Using a hybrid convection/conduction system, the ceramic heating element gives an even, efficient vaporization from first draw through to the last. No burnt or wasted weed. Good flavor, good quality clouds, easy on your throat. It’s a medium resistance vape, with its air-path isolated from the electronics (so no extra, unintended heating of the vapor), which gives a nice free air-flow and a very satisfying, smooth vape. And if you fancy an extra cool, extra filtered smoke, you can even buy a water pipe adapter. The adapter lets you heat your weed evenly and efficiently in the vape and channel its vapor through a bong or dab rig before it reaches your lungs to give your throat an even easier time than using one or the other. The Boundless CFX has a 2500mAh, 7.4v battery that will give you 10-15 five minute sessions on a single charge. Not only that, but it only takes 30 minutes to charge (or 3 hours via USB). So this is ideal for a regular day-to-day vape. A 5-minute auto-shutoff also helps preserve battery life. Boundless give you a one-year warranty on the battery, and three years on the rest of the unit. But if the battery needs replacing after the first year, Boundless will do it for $25. And it’s the same fee for any other maintenance. A charger and a USB cable are both included with the package. A cleaning tool is included with the Boundless CFX and the mouthpiece is easily detachable, so all in all it’s a very easy vape to clean. Another reason why it will swiftly become your regular vape. Before your first use we’d recommend soaking the mouthpiece in isopropyl alcohol (70-90%) for about half an hour and going through a few burn cycles at max temperature, just to burn off any residues from the manufacturing process and ensure you get a good clean taste from moment one. But only because it’s worth doing with all vapes. Only one drawback really. If you’re looking for a very discreet pocket vape, this might not be for you. At 4.7” x 2.8” x 1.2” and weighing 1lb, it will certainly suit some people’s pockets. But for others it will be better packed in your bag. Also, the bright LED screen might not always be ideal, even if you can easily cover it with your hand while using the CFX. However, if it’s small and discreet but fast and powerful you want, take a look at the Boundless CF. It even has a “stealth mode”. 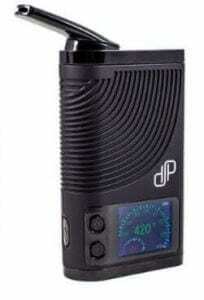 Or check out our other vaporizer reviews. Boundless CFX: Best Weed Vaporizer? Very possibly. It’s hard to see anything wrong with the Boundless CFX. Sure, we’ve not mentioned the price yet. But even that isn’t much of a drawback. There are vapes out there for twice the price that aren’t as good as this one. The popular Mighty Vaporizer, for instance, is larger, slower, less powerful and takes longer to charge. But with the Boundless CFX, you don’t just get what you pay for. For once, you get a whole lot more. If the CFX isn’t the best weed vaporizer available, it’s surely among the contenders—and maybe the best value for money of the lot.